Self-sealing pouches require no heat and no machine. Simply peel and seal. Laminating pouches allow easy finishing and can be edited up to 24 hours after sealing to remove bubbles or wrinkles. Ideal for heat-sensitive materials, inks and photos. 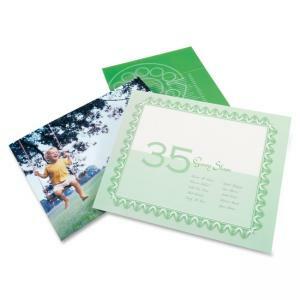 Each photo-size pouch has a clear gloss finish and 8 mil thickness, and delivers machine-free, editable laminating.